I'm using cake to run our builds. Cake is in turn calling yarn to trigger a webpack build and run jest tests. Some of this output is appearing in the AppVeyor build log like errors do. 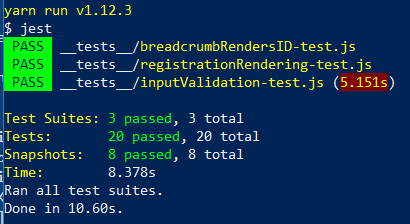 I've included comparison images of local powershell vs AppVeyor for comparison. Is there anything that can be done about this? I'd be expecting the lines that appear in red in the appv images below to appear as plain white text on blue background. This is probably because yarn writes output to stdErr which makes custom PowerShell host implementation on AppVeyor unhappy. Does cake script swallows that and it is only UI spoiling or build actually fails for no good reason? 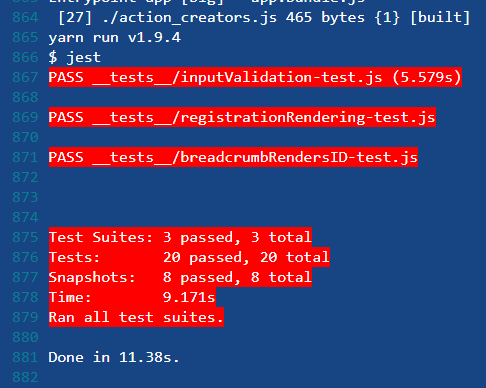 If build fails, try to wrap yarn commands into .cmd script. Ilya Finkelshteyn closed this discussion on 01 Apr, 2019 09:00 PM.